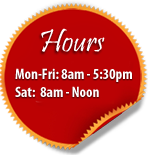 We offer a limited amount of after hour emergency service. In case of emergency call 651.437.5101 for possible availability. If you contact us through email or the contact form below, someone will get back to you within 24hrs. However when scheduling an appointment please contact us by phone at 651.437.5101. Are you a client of ours?